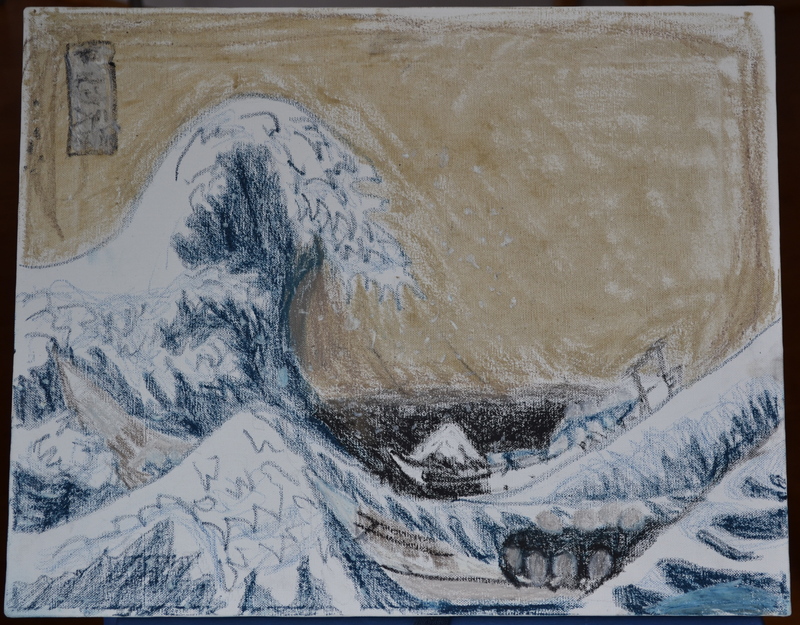 Our oldest son’s oil pastel version of Hokusai’s The Great Wave off Kanagawa, a woodblock print. This post is part of the Tender Sapling Travelers Series. Passports ready? Let’s go to Japan! Our recent “visit” to Japan via our monthly homeschool studies as part of Culture Club was not our first. We have turned our focus to Japan many times over the years, in part because my husband was born in Japan. Can you believe my mother-in-law even kept a beautiful Japanese outfit from his babyhood which each of our boys has been able to wear too? Sweet and a lovely connection to the place of their father’s birth. This past year during early modern history, our oldest son became fascinated with the artist and printmaker Katsushika Hokusai and created his own version of the famous Great Wave off Kanagawa with oil pastels, which turned out to be his contribution at Culture Club a few months later. If you are a fan of Hokusai, share this book as an introduction to this colorful man, who was known by some thirty names throughout his life, and his work with your elementary aged children. Miniature origami samurai hats. Same folds as the ones the kids used to make life-size ones at our son’s samurai birthday party. As as result of our family’s independent studies of Japan’s early modern history, our middle tender sapling asked for a samurai-themed party for his sixth birthday. No, not power rangers. Real samurai stuff. That turned out to be a blast, with the birthday boy teaching everyone how to make life-size origami samurai hats and me donning a lovely kumata (like a kimono, but made out of cotton), thanks to our friend who started Culture Club. Thank goodness for helpful hands, as I couldn’t figure out how to get the beautiful cloth to lay right and not look like I was wearing a jumble of sheets. The samurai hat folding fever continued for months, so our son was jazzed to teach dozens of kids at the Japan Culture Club how to make these smaller ones. As you can see, Japan is one of those countries that is easy to explore. There are resources and experts readily available – museums hold amazing artifacts and works of art and our local Japanese steakhouse offers a memorable meal experience along with a chance to stand next to a life-size replica of samurai armour – not a bad option if the Met’s amazing Hall of Arms and Armour is too far to visit. Everyone can take a quick trip to the local library or an internet search, which yields a wealth of material. If you love Robert McCloskey’s classic Make Way for Ducklings, you will love this true story of a mother duck and her ducklings who take up residence in Tokyo’s Imperial Palace moat and capture the hearts of the people. After a scare when the beloved smallest duckling – Chibi – goes missing after a storm, prompting search parties and media attention, a special duck house is built to keep Chibi and family safe. This book introduces the reader to the ancient Japanese art of origami or paper folding through an imaginative moral tale of an origami master and a bird who copies his origami. The colorful pictures engaged our youngest. 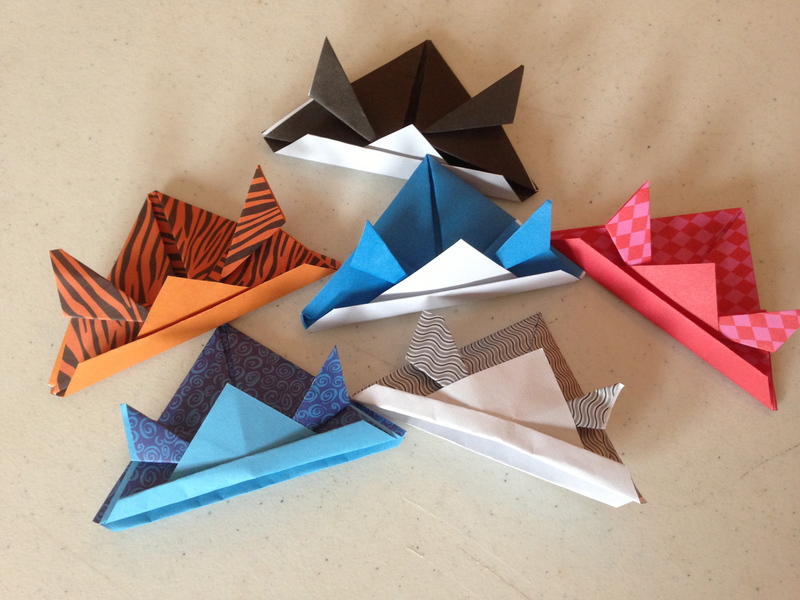 The older two ran off to fold origami birds as soon as the book was finished. This is a sweet tale of how the author/illustrator’s own parents met in Japan and crossed cultural divides, both personal and interpersonal. The book starts with the main character’s move from the United States, where she ate spaghetti, to Japan, where she had to wear a kimono. It then follows her on her path of independence, finding a sympathetic soul and her future husband along the way. This is a another touching story of a young Japanese woman and a young American man who meet in Japan and become friends, bridging their cultural gaps as they eat food from each other’s culture. Our big-machine-lovin’ three year old isn’t the only one who enjoyed this humorous Lilliputian-like story of little people with big machines who make a cake. Everyone in the family got a kick out of it. The Japanese connection? The author/illustrator is Japanese, as is the family celebrating a birthday with the help of the little people and their cake-making efforts. 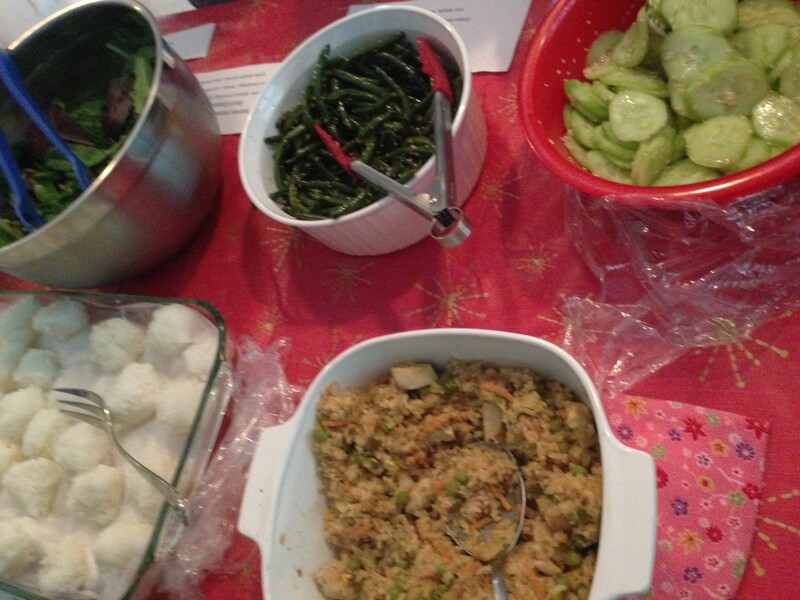 Our rice balls alongside Japanese dishes brought by other families to our Culture Club potluck lunch. Rice Balls (Onigiri) – super easy, fun and yummy! The kids love getting their hands messy as they mold rice balls in their salted hands. Eating the tasty rice balls is the icing on the cake. The recipe I used is evading me, but it’s similar to this recipe, except we skipped the nori and umeboshi. We simply made sushi rice in the rice cooker and once it was cool enough to handle, the kids got their hands wet and salted and made balls from the scoops of rice I dropped in their hands. Fun-shaped Hard Boiled Eggs. Yes, we shaped hard-boiled eggs into cars & fish using molds such as these. Again, fun, fun, fun! Gotta love modern Japanese whimsy! We pressed fresh hard boiled eggs into these molds and ended up with fun shaped eggs. Processed food? Not really. Fun? Definitely. Daruma Dolls – Daruma or Dharma Dolls are a good luck symbol with Zen Buddhist roots that the Japanese people tend to make wishes on by coloring in one eye of the doll at the new year. Once the wish comes true, the other eye is filled in. Cindy over at One Part Sunshine brainstormed these creative crafts the kids could take home and make a wish on. Basically, the kids used cut up egg cartons, red tape, masking tape, and sharpie/permanent markers to create these clever dolls. 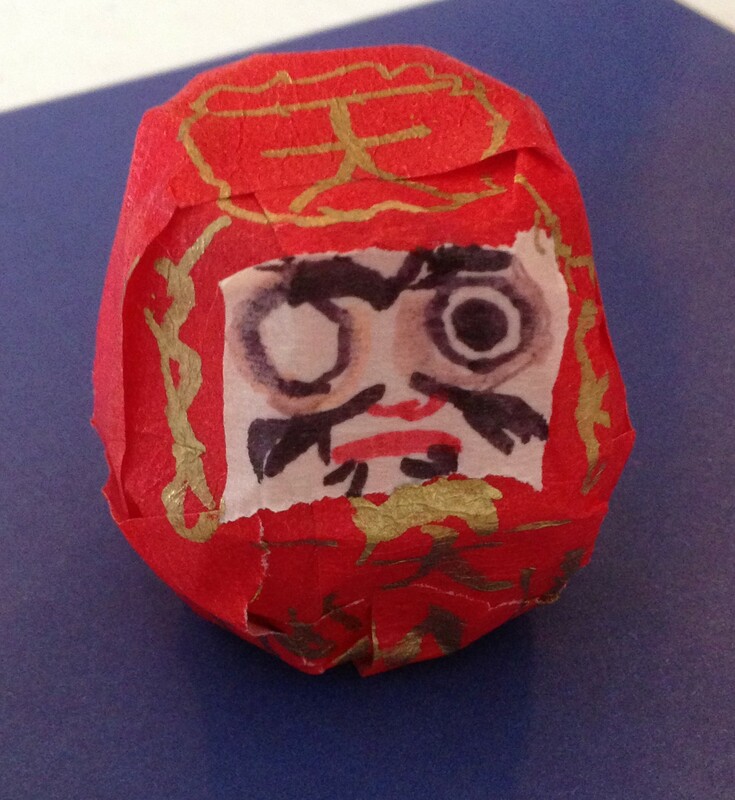 Daruma doll created by our oldest son at Culture Club – Japan! 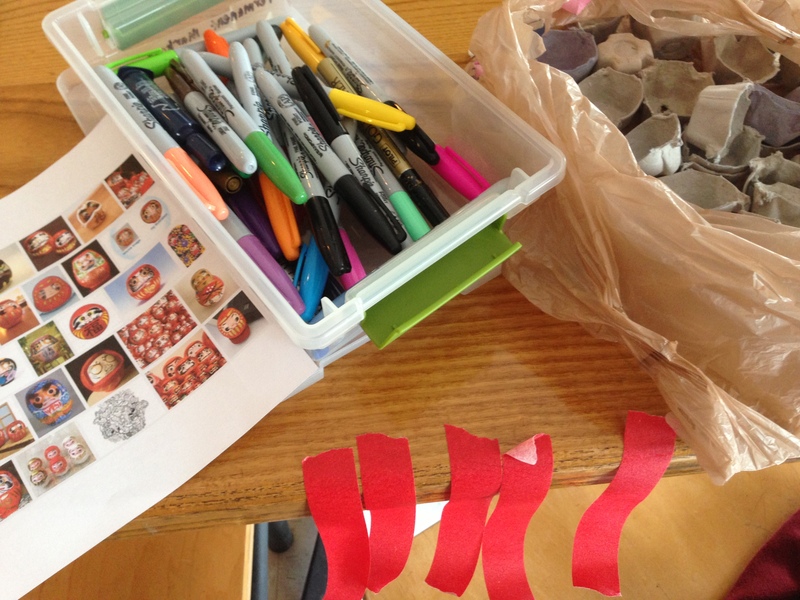 Supplies used to create the above Daruma Doll. – This homemade sushi set may rival a Melissa and Doug set. 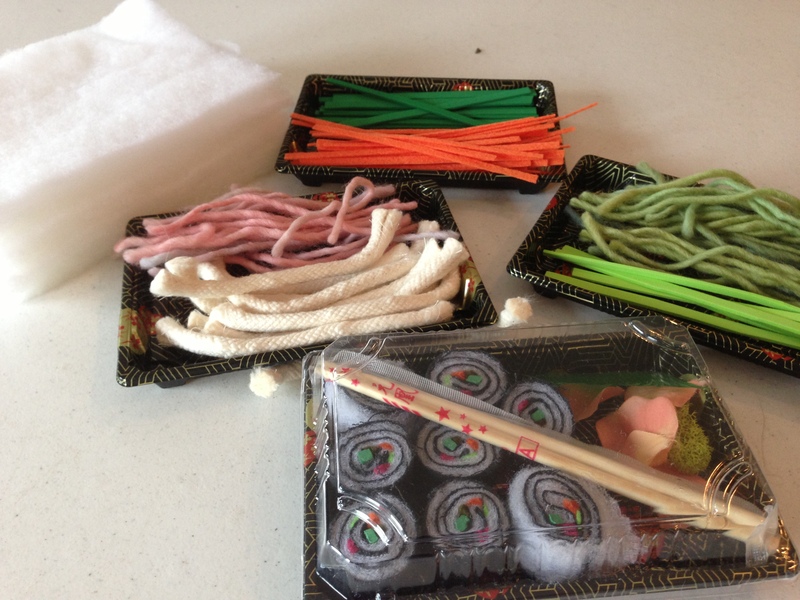 Our Culture Club founder, Sarah, gathered sushi boxes, chopsticks, and a collection of textile craft supplies for the kids to create their own sushi rolls, wasabi, and more. She then got busy with a glue gun, making their creations more permanent so they could take them home and play sushi chef or restaurant owner. Creative sushi sets the kids made. 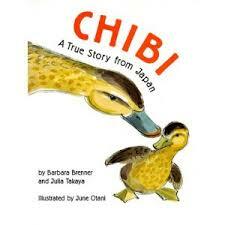 What are your favorite books, recipes, or crafts that bring Japan and its rich culture into your child’s life? Categories: Have Fun, World Citizenship | Tags: activities, books, Chibi, children, crafts, Culture Club, history, Hokusai, homeschool, Japan, Japanese, Make Way for Ducklings, origami, recipes, Samurai, Tender Sapling Travelers, The Great Wave | Permalink.